There’s some delicious British produce on the shelves during May. It’s a season of absolute treats. From asparagus to watercress and not forgetting Jersey Royals and plump mouthwateringly juicy British strawberries – it’s all too good! 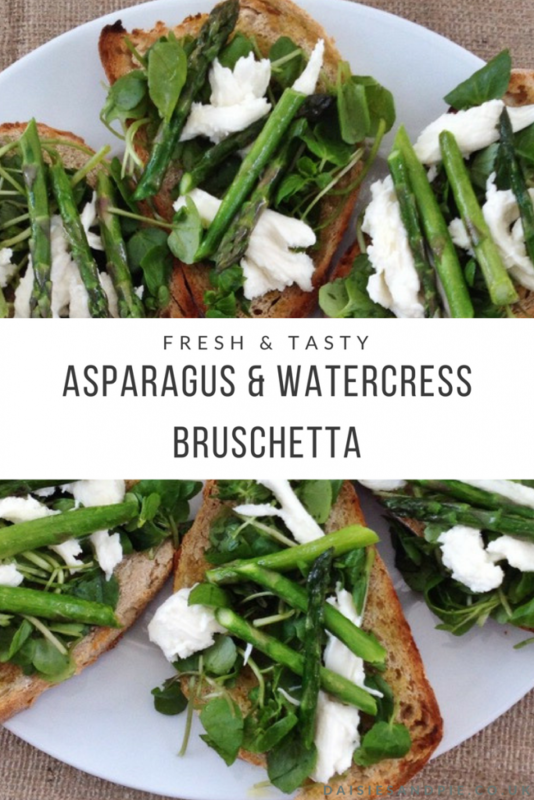 And I just love asparagus season, tasty vibrant asparagus pairs so perfectly with strong peppery watercress for a really simple rustic laid back meal of Italian bruschetta. Great as a starter or as a simple, fresh healthy lunch. A delicious seasonal recipe for May using fresh asparagus and watercress. Slice the sourdough loaf into 8 thick slices. Cut the asparagus into halves and drizzle the spears with a little olive oil and griddle over a medium-high heat for around 5-6 minutes - shaking the pan regularly. Whilst the asparagus is cooking - toast the sourdough slices on both sides. Rub each slice of sourdough with the raw garlic clove - this grates the garlic onto the bread and gives a lovely flavour. 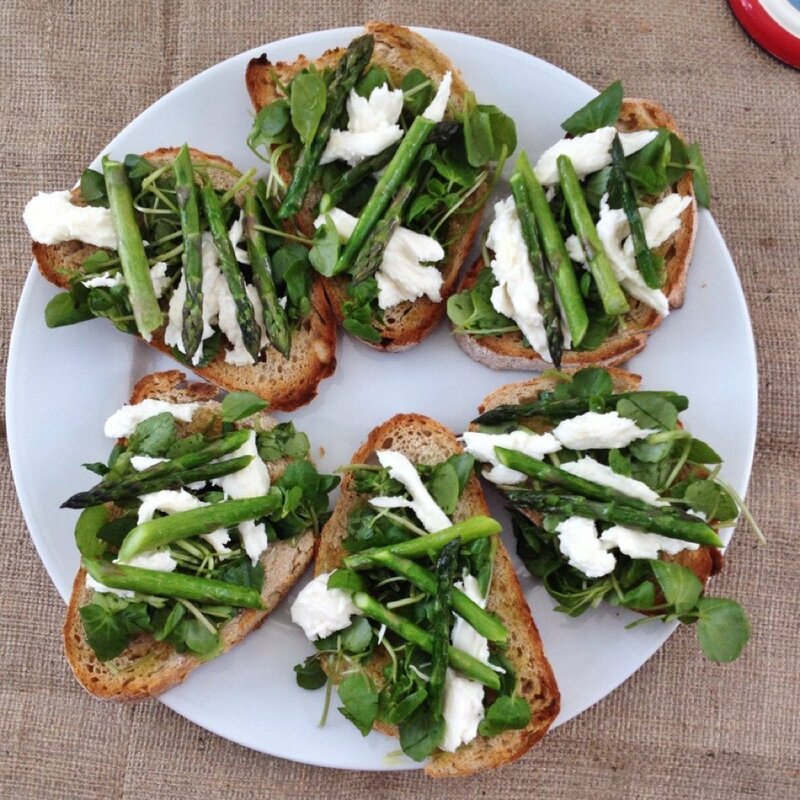 Top the bruschetta slices with watercress, torn mozzarella and finally the freshly griddled asparagus - drizzle with olive oil and season with salt and pepper to taste. switch the toppings for tomatoes and torn mozzarella, add a pinch of chilli flakes for extra zing. 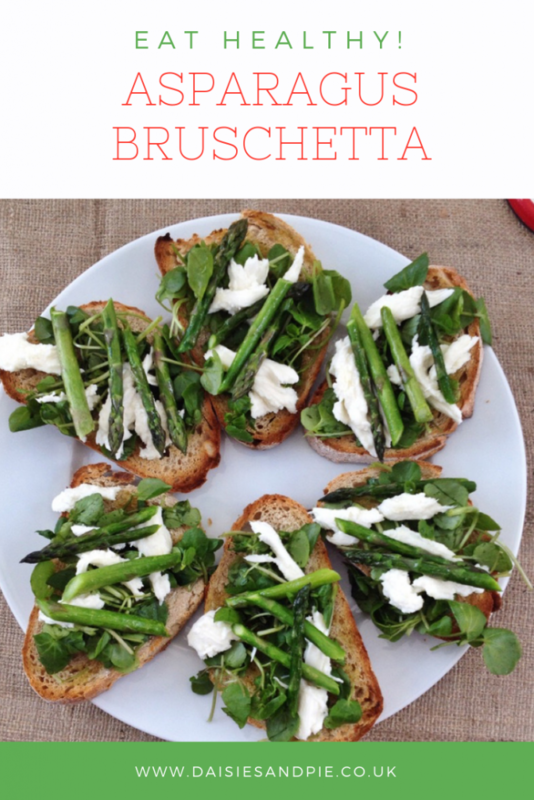 Our asparagus & watercress bruschetta were featured in The Express.